A Parent's Choice award winner as best educational material for children 2-6. The prime reason for Paul making this work was to create the phonemes of various languages in the developing brain of his daughter, emilia. The result is the alphabet, numbers, and days of the week, recited and sung, in English, Spanish, French, and Greek. An absolute delight. emilia's notebook had both my niece and I captivated. 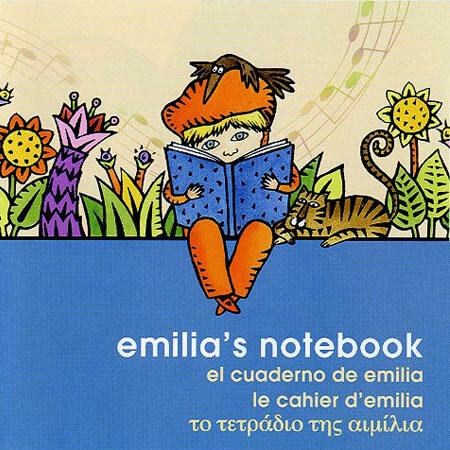 This witty, multi-language musical endeavor makes learning other languages easy and fun. When your child asks to hear it over and over again, for a change you'll be pleased. My grandson listened to it four times, very intently... as if he was taking a class. He was very, very interested... with this child the goals are fulfilled - IT WORKS! !